The Joint Labour Unions comprising of the Nigeria Labour Unions (NLC) and the Trade Union Congress (TUC) in Osun state have issued a 7-day strike notice to the state government over the non-payment of salaries areas, pensions and gratuity. 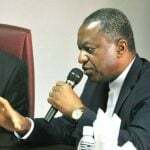 The Minister of Foreign Affairs Geoffrey Onyeama says the Federal Government has stepped up measures to address challenges of smuggling and insecurity at the nation’s borders. Queen Elizabeth Erebulu, mother of the Pere (King) of Kabowei kingdom in Patani Local Government Area of Delta State, His Royal Majesty, Barr. Shadrach Erebulu, Adou III, has been kidnapped by gunmen. 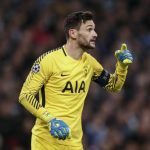 Hugo Lloris wants Tottenham to show attacking ambition as they aim to complete an upset triumph against Manchester City in the Champions League. 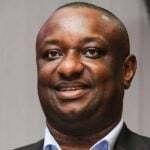 A senior advocate of Nigeria and spokesman for President Muhammadu Buhari’s campaign, Festus Keyamo, said a certificate of the West African Examination Council (WAEC) is not a criterion to contest an election and emerge Nigeria president or governor in any state in the country. 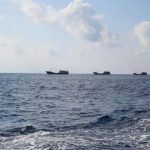 The Philippines is considering legal action against China for allegedly harvesting giant clams in a disputed shoal in the South China Sea.